We had a positive show at Messe Berlin for this year’s Fruit Logistica expo with our biggest stand yet! 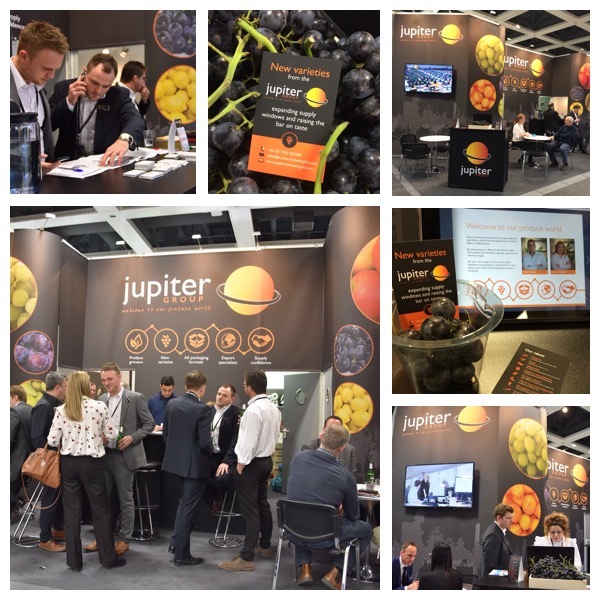 There were a number of firsts for us this year including an independent stand rigged with three meeting rooms, the showcasing of our new variety grapes and we digitised all of our marketing collateral to continue our paperless journey outside of the UK HQ office. The success of the show felt bigger than ever before. If you didn’t manage to get time with us in Berlin this year but want to start a conversation of any kind, please feel free to drop us a line on sales@jupitermarketingltd.com and we’ll be happy to set something up.